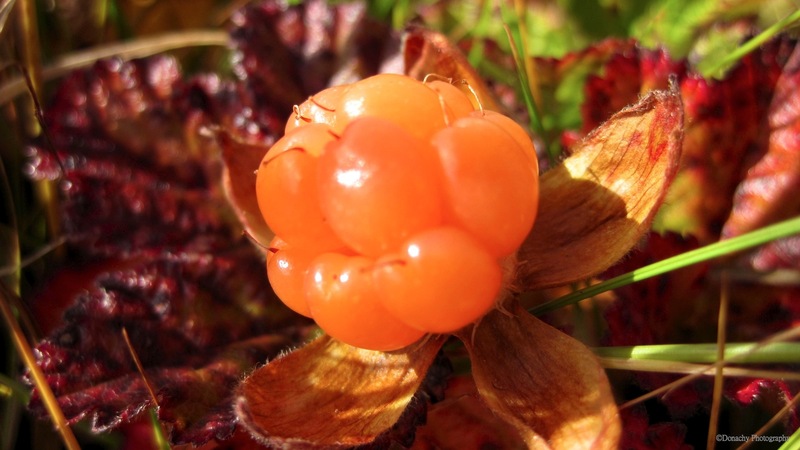 In northern latitudes where they grow, cloudberries (Rubus chamaemorus) are prized as a delicacy. Sept 1, Point Hope, Alaska: It has rained for at least part of each day ever since we came back to Point Hope on August 11 – twenty-two consecutive days. Yesterday, the sun finally broke free, and after an energizing breakfast of French toast, smoked salmon, honeydew mellon, orange juice and coffee, we borrowed one of the school’s vehicles and four of us drove out Seven-mile road (which is actually only five miles) to pick some of the last of this year’s aqpik – the Inupiat word for cloudberries. 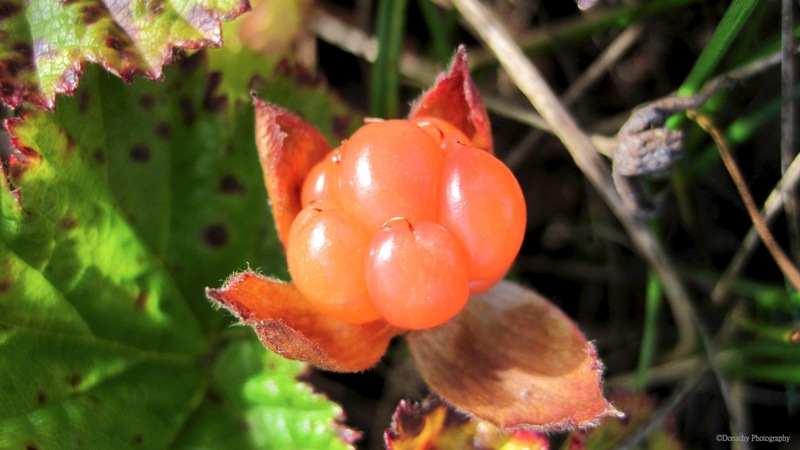 Cloudberries like wet tundra, but can also be found in meadows. 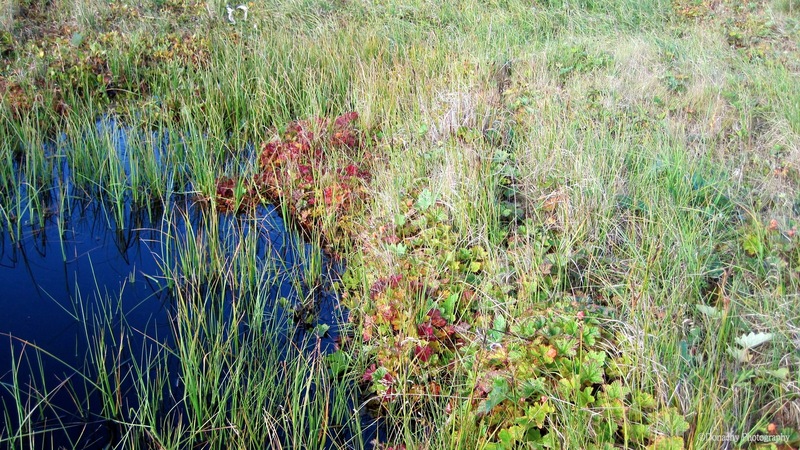 The boggy fields near Point Hope necessitate Muck Boots or similar footwear. We’re glad we don’t have to choose a favorite fruit, but a good way to think of fruit is in terms of where they are best served. If I could have a freshly-picked, perfectly juicy, slightly tart ruby red grapefruit every morning for breakfast, I’d seldom want any other fruit with my morning meal. Peaches shine when grilled to caramelize some of their sugar and served with mascarpone cheese or goat cheese. And I occasionally have dreams about the elderberry pies my grandmother used to bake for me made from the dark purple fruit I picked near my boyhood home in Pennsylvania. Snowy owls, ground squirrels, foxes, caribou and occasionally brown bears are visitors and residents of the tundra where, in addition to cloudberries, stunted willows grows. Soft, juicy, and slightly creamy, cloudberries make a sorbet that is sublime, and they are excellent in ice cream as well. They are delicious as freezer jam, and this year we made syrup from the juice of some of the berries. Recently Barbra made a delicious cloudberry bread which was perfect with our peanut butter and jam sandwiches. Cloudberry liqueur is popular, and apparently there is a Canadian-brewed beer that features them. The last of the cloudberries signal the end of summer here in Point Hope. The salmon and char are nearing the ends of their runs, and we’ve already had a little sleet. Click on the links below for additional cloudberry recipes, and stay tuned for recipes on cloudberry syrup and spicy cloudberry chipotle sauce for poultry, pork and fish. 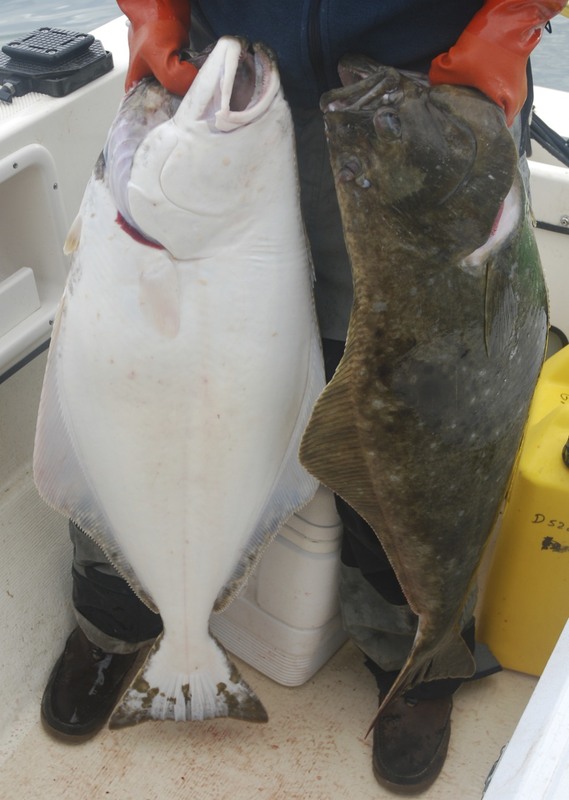 Our trip back to Point Hope, Alaska, went like clockwork – Swiss clockwork at that. The taxi driver arrived at our storage unit (where we’d spent the night in our camper) ten minutes early and was driving a van which easily held our eight coolers loaded with this summer’s catch. Traveling with eight coolers always fills me with a bit of trepidation; you can imagine the “what if” scenarios that run through our heads for this trip. So we plan for the worst and hope for the best. Up in Point Hope, our big freezer is now stocked for the year while we wait for about a thousand pounds of dry goods we carefully packed and mailed to arrive via the U.S. Postal service. “Waiting” is not something I enjoy. “Doing” is much more fun. After finding a half of a jar of marmalade in the refrigerator, I decided conducting a cookie experiment would be much more fun than sitting around waiting for groceries to arrive. The results? Orange-flavored cookies. The chocolate added a layer of flavor that complimented the orange tang. Add applesauce and marmalade and mix thoroughly. Mix in flour mixture to butter mixture until just blended. 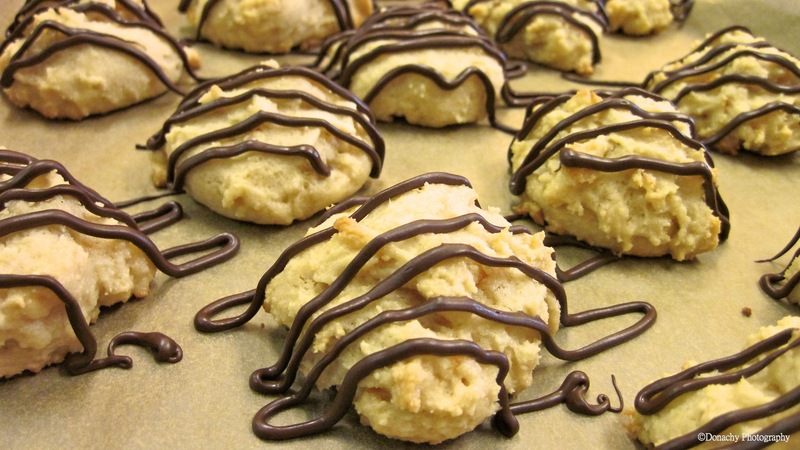 Drop dough by tablespoons onto parchment-covered cookie sheets. Leave at least one inch between cookies. Bake until cookies spread slightly and are lightly browned (about 10 minutes). 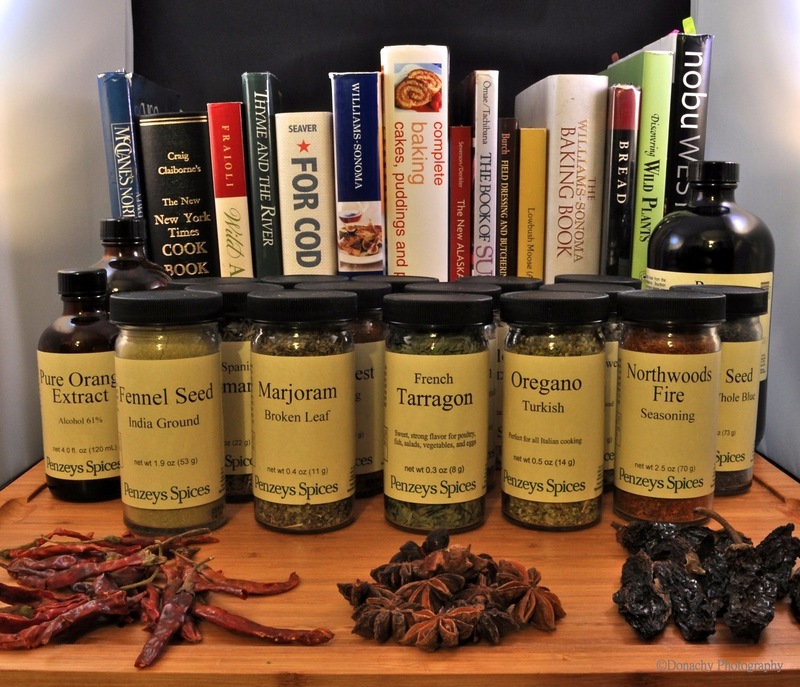 Penzeys spices have earned a prominent place in our well-stocked kitchen. We recently received an order of items we wanted to make sure we have on hand when we return to Point Hope at the end of the summer. From left to right in the foreground: arbol peppers, star anise and chipotle peppers. As I write this, I’m surrounded by several stacks of Rubbermaid totes. Each stack has four to seven nested totes duck taped together, ready to be mailed to Anchorage where they’ll be filled with dry goods and mailed back up here for the next school year. We’re down to the tail end of most of our groceries, which is the way it should be with only 10 days remaining before we fly down to south-central Alaska for the summer. Planning out a well-stocked kitchen, experimenting with new dishes and baked goods, and writing this blog make the extra effort and expense of laying in everything we need for our kitchen worth it. In addition to mail-ordering spices to supplement what we already have on hand, we’ve prepared a five-page Excel spreadsheet shopping list we’ll take care of in Anchorage. And, of course, there are the ice chests we mailed down earlier, waiting to be filled with some of the world’s best seafood – the salmon, halibut and rockfish we catch and package ourselves. Come late summer when we return to the village, our kitchen will be ready! Various types of salt, cooking oils and a full compliment of herbs and spices inspire an eclectic approach to cooking and baking, and allow us to create many of our own rubs and grilling sauces. Although the theme of our summer posts will shift to fishing, hiking, boating and sailing, we’ll continue to write about the cooking we do for ourselves and our guests. And during the summer, we’ll finally be able to enjoy wine and beer with our meals! Salmon, halibut and rockfish fillets from fish caught in Resurrection Bay, vacuum sealed and flash frozen for fresh-from-the sea taste, ready to make the trip north to Point Hope. And a plug for Alaskan seafood: it’s wild, sustainable, healthy, and some of the best-tasting on the planet! One of the biggest challenges living in the bush presents is provisioning for a year’s worth of meals. When we moved to Alaska, Barbra and I brought with us some of the skills we’d acquired in our lives in Oregon and California. For starters, we’ve always had Costco memberships and we use those memberships to stock up on bulk purchases from rice to olive oil to meat, fish and poultry. 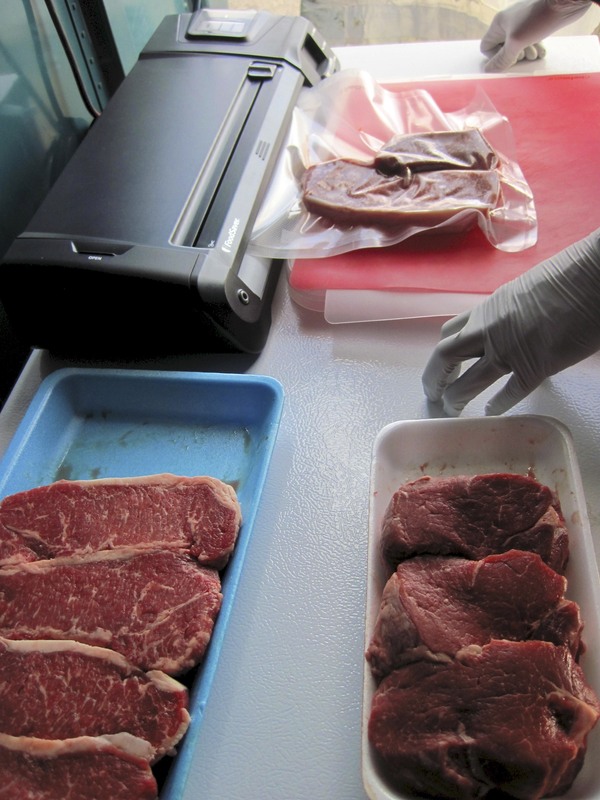 To make this work, we use a FoodSaver vacuum-pack system to repackage meat in smaller portions, which we then freeze. In addition to having some of the very best meat, poultry and fish available – and at prices well below specialty stores carrying products of comparable quality – Costco also carries the best frozen fruits and vegetables we have found. Their Executive Membership, which costs more than a regular membership, offers a 2% rebate on purchases, and thus more than pays for itself, meaning that we don’t incur a membership cost. But even if we had to pay a nominal fee, we’d still be Costco members. They treat their employees well, and they offer quality products and service. 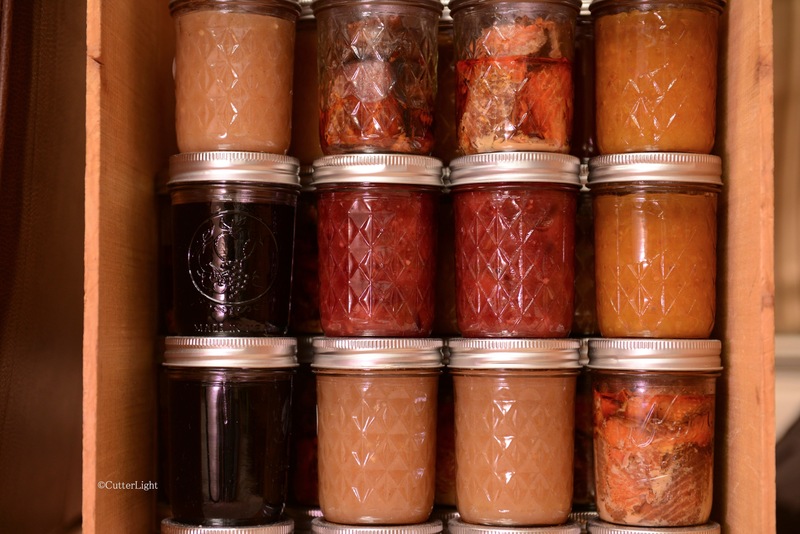 And buying in bulk is green: less packaging (much of our repackaging material is reusable), and fewer trips to the store means less fuel consumption. In our life before Alaska, we were already harvesting most of our seafood and freezing (and smoking) it. Annual berry-picking pilgrimages provided us with a year’s worth of blueberries – a fruit that not only is delicious and versatile, but which freezes well, too. The challenge we faced upon moving to the bush was getting all this food, and other supplies, out to the village. Here’s the short explanation of the solution: Rubbermaid Roughneck Totes and Coleman Xtreme 52-quart coolers. Left: Drilling holes in lids and totes to be zip-tied shut for parcel post. Right: Empty coolers at the post office, ready to be mailed south where they’ll be filled with frozen and cold food at the end of the summer and checked on our planes north to the village. We drill the Rubbermaid totes so that the lids can be zip-tied (cable-tied) to the tub. Rubbermaid totes are tough and unaffected by cold temperatures. Cheaper totes don’t hold up, and in the long-run are expensive because they have to be replaced as they break down. All of our dry good are mailed up parcel post in these tubs. We’ve mailed hardy vegetables (squashes, potatoes and onions) and hard cheeses in these tubs as well. 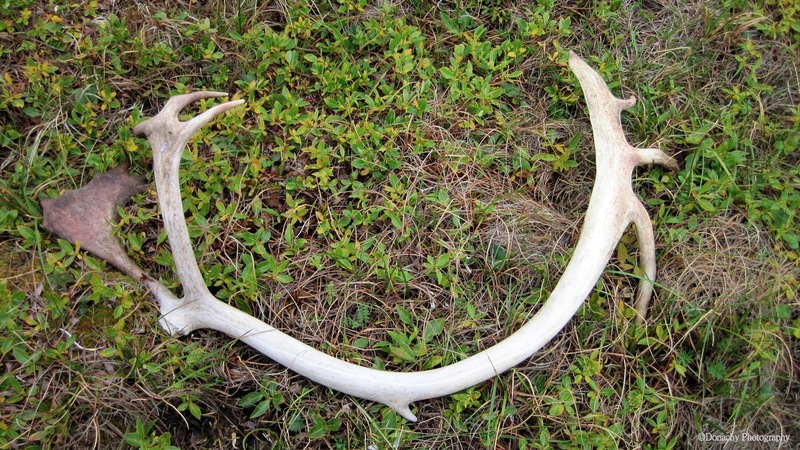 In Alaska’s cool temperatures, they’ve been fine. The coolers travel on the plane when we fly up. There are better coolers than Coleman Xtremes, but so far these have been fine. The price is right, they’re tougher than really cheap coolers, and they weigh in at a reasonably light weight – an important consideration. The 52-quart size is manageable even when fully loaded with frozen food. We stuff at least eight of these coolers with as much fish, meat, chicken and frozen vegetables and berries as we can and pay the extra luggage fee. We’ve been sealing these coolers with duck tape, but this summer we’re planning to experiment with a solution that won’t require having to use and throw away a roll or two of tape each time we ship. New York Strip steaks (left) and filet mignon (right), purchased in bulk from Costco are packaged with one of each per vacuum-sealed pack for a Porterhouse without the bone. Meat, poultry and fish packaged and frozen this way will keep for over a year; the result is that we waste virtually nothing. Something like necessity inspired us to try our hand at making lox, although “necessity” might be a bit strong. 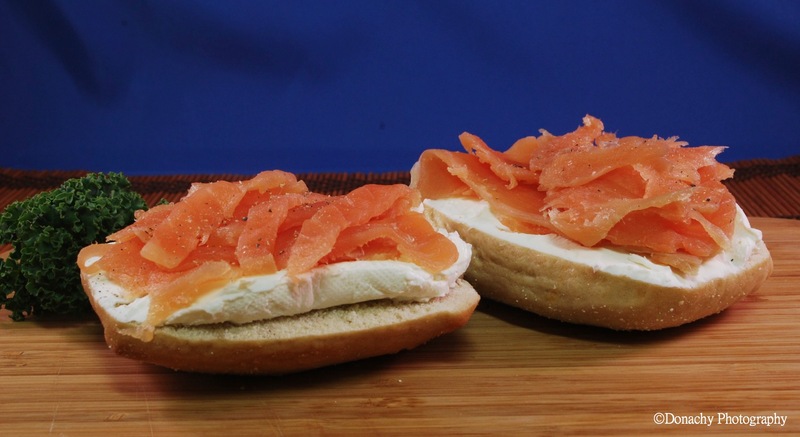 On the other hand, there is no kosher deli in Point Hope… so where to obtain a freshly baked bagel topped with cream cheese and deliciously salty cold-cured salmon? Growing up, it was always a treat on those rare occasions we could afford it. Someone had to know how to make it at home, right? To the internet! After perusing foodie blogs, recipe pages and YouTube videos, we were ready to give it a try. Jack put together a blend of natural coarse sea salt, smoked sea salt, brown sugar and cracked pepper which we then packed onto the fillets before pressing them together and placing them in the refrigerator. At the allotted five days of curing time, we were thrilled at how our first lox came out. Cut thin, the beautifully translucent slices of wild salmon were appropriately dense, salty and imbued with the freshness of the Alaskan sea. Although Internet recipes cautioned against using frozen fish, ours came out nicely, probably because our fish had been kept on ice before being filleted and then vacuum packed and flash-frozen shortly thereafter. In that regard, our frozen fish is fresher than most “fresh” fish. We made cream-cheese-and-lox-roll-ups for a party (they vanished in no time), scrambled some into eggs, and have been enjoying it on crackers and cream cheese. As satisfying as each of these dishes have been, we both craved bagels for our new delicacy. I accepted the mission and searched out different recipes and techniques. I started the dough in the bread machine–a wonderful tool for making sure the temperature is right–and after shaping the dough into bagels I finished them on the stove and in the oven. The first batch turned out eight beautiful bagels–golden brown on the outside, agreeably chewy, and the perfect texture on the inside. The thing we like most about living off the beaten path is the time we have (and take) to do things we would have been unlikely to do in our previous lifestyle. There’s a sense of accomplishment that has become a regular part of our lives… lox and bagels…from scratch! When it comes time to move back to a road system–whether we end up on the Kenai Peninsula, Oregon, Washington, California, Belize or some place we haven’t fully considered yet–, I can’t imagine that we will go back to buying the things we’ve learned to make. We agree we don’t ever again want to be so busy that we don’t have time to make things ourselves. P.S. In an ironic turn of events, our little Native Store in Point Hope recently got lox! I didn’t even bother to look at the price. I did see people go in with gold bars and polar bear furs to trade. Ha ha.